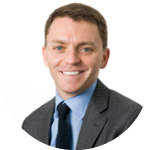 Nick Miller is head of the Asset Management Department within the Investment, Wholesale & Specialist Supervision Division at the Financial Conduct Authority. In this role, Nick is responsible for the FCA’s oversight of over 3,000 firms across the asset management and custody bank sectors. 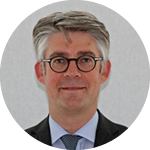 Previously, Nick was head of the EU & Global Department, responsible for managing the FCA's strategic relationships with counterpart regulators and other stakeholders throughout Europe and globally. He was also responsible for the FCA’s strategy in relation to the UK’s withdrawal from the EU. Prior to joining the regulator, Nick was Executive Director and Head of Public Policy, EMEA at Morgan Stanley, where he spent four and a half years. He previously worked in a government relations role at Thomson Reuters and as a trade policy expert at the Confederation of British Industry (CBI). He holds an MSc in Finance from the London Business School and an MA in European Politics from the College of Europe in Belgium. He holds a BA in Modern European Studies from University College London (UCL).